Avert your eyes from the pumpkin spice recipes. Don’t speak of apple cider or fall sweaters. 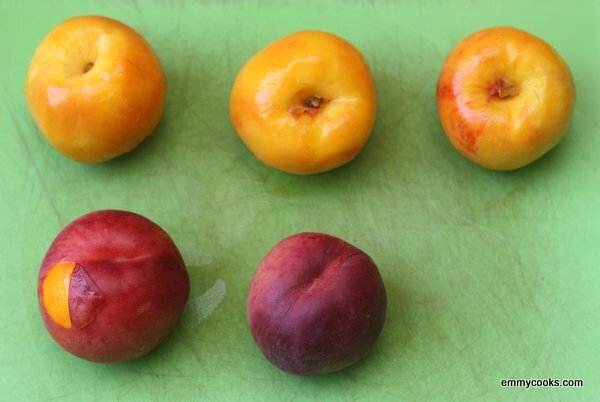 It’s still the height of the summer fruit season, peaches tapering into plums. And melons. The melons have hardly begun, here in the Northwest. Let’s not hurry things along. Let’s enjoy this final week of summer. This entry was posted in Desserts, DIY, Feeding Kids, Food, Fruit, Recipes, Vegan or Would-Be-Just-As-Good-Vegan and tagged CSA recipes, frozen treats, sorbet, stop talking about fall, summer fruit recipes, watermelon on September 12, 2012 by emmycooks. It’s the time of year when peaches are piled so high on the counter that we hardly make a dent in them as we eat one after another, on the back porch or leaning over the sink, juice running down our wrists. The baby reaches for them: “apple! Apple!” (All fruit is “apple” in her lexicon.) We get peaches in our CSA box every week, and buy more, and then our neighbors came over with a heaping bowl, sharing the bounty of a box they brought home from some warmer, peach-growing place. This entry was posted in Baking, Breakfast, Desserts, Easily Multiplies to Feed a Crowd, Feeding Kids, Food, Fruit, Recipes and tagged baking, blueberries, crisps and crumbles, Peach and blueberry crisp, peaches, summer CSA recipes, summer fruit recipes, summer recipes on August 16, 2012 by emmycooks. I made jam to use up fruit recently and now I’m making popsicles to use up jam. It’s one big happy circle, really. 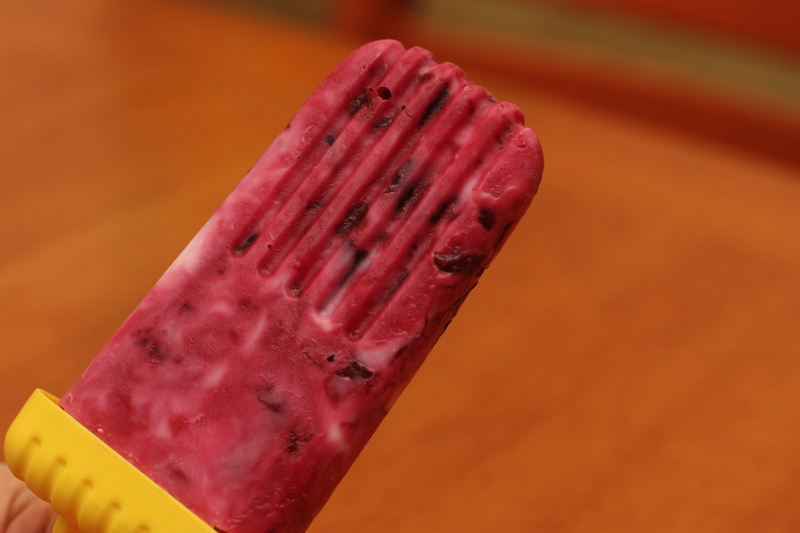 So my version of these popsicles are made with my recent batch of chunky cherry jam. All you do, really, is mix jam with yogurt and freeze it. The artistry is in choosing the jam flavor, I guess? No, not even that, because I can’t think of a single flavor that wouldn’t be perfect here. Plum? Strawberry? Peach? Divine. 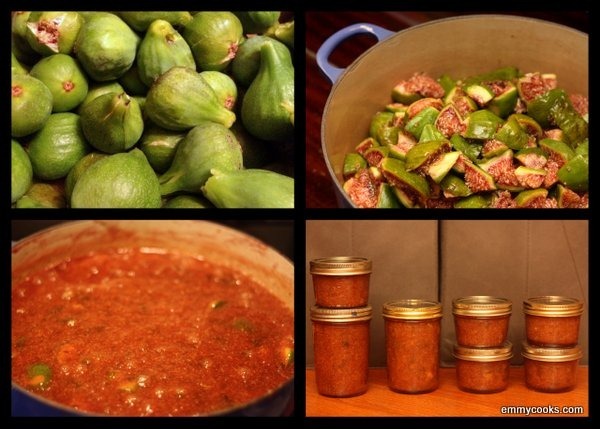 If you don’t feel like making your own jam (not even one single jar?) and you can’t be bothered to run to the store (and that I can understand, truly), I have another suggestion for you. Visit A Raisin and A Porpoise, where Janet is giving away a jar of her homemade blackberry jam to a lucky reader. You’ll be doubly enriched if you win the drawing, both by the blackberry jam and by making the acquaintance of a well-written blog full of little insights about life and great ideas about what to cook. This entry was posted in Desserts, DIY, Easily Multiplies to Feed a Crowd, Feeding Kids, Food, Fruit, Recipes and tagged cherries, cherry recipes, CSA recipes, popsicle recipes, raisinporpoise.blogspot.com, summer fruit recipes on July 27, 2012 by emmycooks. I don’t think I knew about rhubarb when I was a kid. But I have read about and romanticized the childhood pleasure of being sent outside with a bowl of sugar to dunk the tart whole stalks as an afternoon treat. Did you get to do that? This compote is like a grown-up version of what I imagine that sweet-crunchy experience to be. 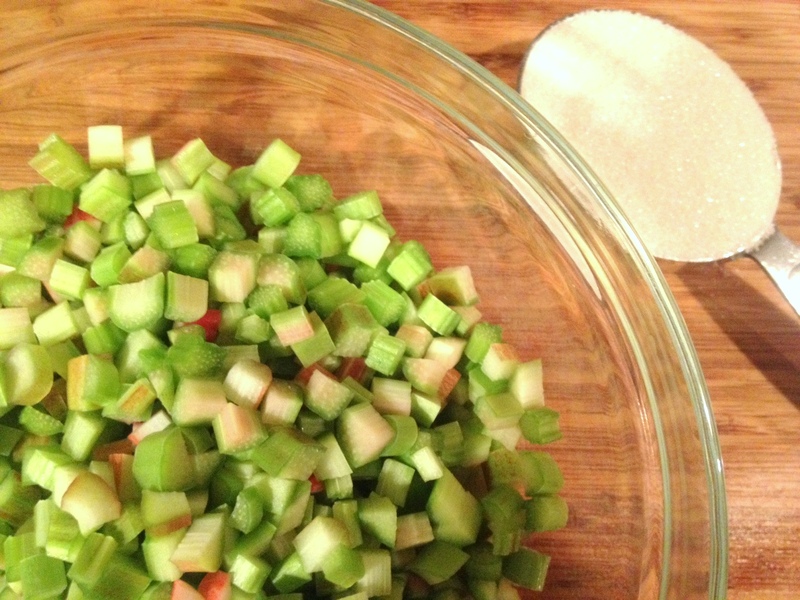 I especially like to make it with green rhubarb, which turns a dingy beige color when cooked; leaving it raw instead preserves the gem-green color and lets the occasional pink highlight shine. The flavor is very bright, tart and sweet at once, and if you are feeling adventurous the recipe (from Rustic Fruit Desserts, again) smartly suggests infusing the compote with fresh rosemary or lavender. I always mean to try that, but it’s so good as is that I never have. Likewise, I’m not too creative about serving this dish. We usually scoop spoonfuls over yogurt, maybe with a little granola (like this one with orange zest and currants) sprinkled on top. What other ideas do you have? I have a big bowl in my fridge. This entry was posted in Breakfast, Desserts, Easily Multiplies to Feed a Crowd, Food, Fruit, Recipes, Vegan or Would-Be-Just-As-Good-Vegan and tagged breakfast, CSA recipes, gardening, rhubarb, summer fruit recipes, Tonnemakers, yogurt parfait on July 13, 2012 by emmycooks.